I know what you are thinking. "It is only October. Why are we re-capping the year already?!?!" ... Well did you realize only 12 weeks of this year are remainging? (It went by fast right?) Well, anyhoo ... I thought I would start now and post this once a week, 'coz back-to-back re-cap posts gets quite annoying. Don't you think? ... and if you had missed a post here's your chance to check it out and if you are up-to-date then cast your vote (just for fun!) 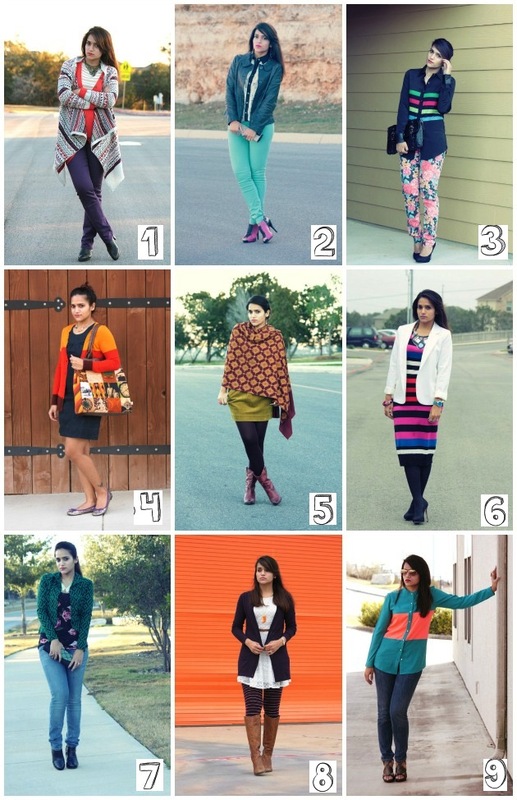 and let me know your favorite outfit from January 2013.